Well, not that time of the month, but sponsor introduction time! Deciding to get involved with the whole sponsor-button-swappin'-business has been a great opportunity for me to cross paths with a whole bunch of lovely, diverse & creative blogs. And my favorite part about these swaps is being able to share these lovely, diverse & creative blogs that I've swapped buttons with! 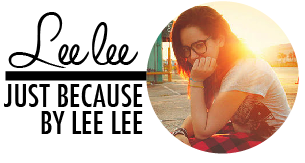 I'm especially thrilled to share my December sponsors because they're all so sweet & lovely. And secondly, I have so many of them to share this time round! There definitely is a blog here for everyone this month, so please pay them a visit! Hi, my name is Amanda. I am psychology student at Western Washington University, and also work part time at a cosmetics counter. When I’m not computing a statistical analysis or finding the right foundation for a customer, I love to spend my free time (the small amount I have!) being creative. 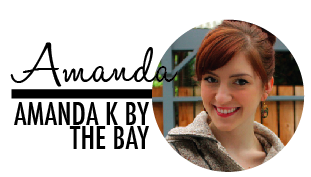 My blog, Amanda k. by the bay, is a place to share the beautiful Pacific Northwest, recipes, my style, craft projects and inspiration. 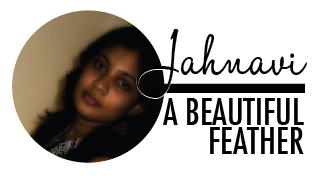 Hi, I'm Jahnavi, I live in Dubai with my lovely husband. I'm a management graduate, lover of photography and fashion. I enjoy traveling, reading and writing. My blog is about the things I love and the things that inspire me. I love to blog about life style. Visit a beautiful feather to know more about me. 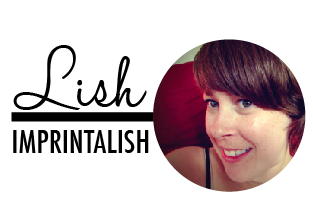 Imprintalish is a lifestyle blog with a focus on raising two little guys. It is loaded with photography and pretty finds. I share crafts, tutorials, tales of mommyhood and everything in between. Living with two little men and one big man can be tough and a constant balance struggle, but I wouldn't change a thing! I'd love for you to stop by and join me in my creative quest for balance as a WAHM! Hi! 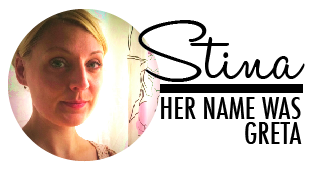 my name is Stina, i'm a catlady crazy for crafting, baking and pretty dresses. You can expect my favourite recipes, projects I'm working on, tutorials, and photos of my cats of course, and more on my blog. I'd love to get to know you so please come by and say hello! Oh hai! 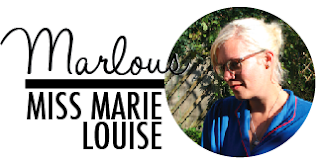 My name is Marlous and I'm the owner of missmarielouise.com. I'm a Dutch, crafty and vintage loving girl and I love to make things with crochet and felt. I like to blog about lots of things, such as crafty and creative things like my love for crochet and felt, but also about vintage stuff I like, cute DIY's, art, photography, other blogs that I like, cooking and gardening (I have an allotment with one of my friends, where we grow our own fruits and vegetables. Yay!) I've had a pretty busy year with my study, but in 2012 I will start my etsy shop Laloulouise and I'm so excited about it! 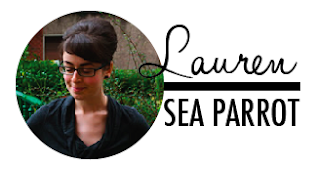 My name is Lauren, and I am an American living and going to art school in Glasgow, Scotland. I live here with my husband and my dog, who are the loves of my life. On my blog you will find loads of thrifted items, art I'm working on, portraits of my dog, and a lot of food. Hello!! I'm Lily, a fashion designer from Colombia living in Miami, FL. I love everything cute, photography, vintage and urban styles. When I'm not working, I spend my days sewing, reading blogs , and taking pictures. I love knitting and embroidery. I am always making something, I love diy ! My name is Krystal and I live in Las Vegas with my wonderful family: my husband, stepson, brand new baby and 3 dogs. 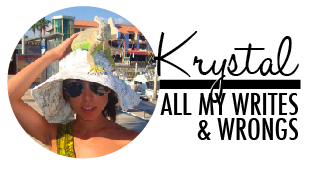 My blog is my little corner to share bits and pieces of my life, my family and my ever-changing interests. Visit them & say hello! YAY for the new sponsors! wonderful sponsors. :) i'll be sure to check everyone out after i put the kids to bed. hope all's well! Make sure you do! I'm putting the second bunch of babefoxes up in the next few days!